I've learned something through the years as a writer. When it comes to putting out books, writing is the easy part. I've finished my second book, “Life Happens” and am in the process of formatting it. I learned quickly that formatting is a lot more complicated than I thought it would be. With my first book, “Remembering Big,” I simply took it to the Birmingham News Specialty Press, wrote them a sizable check and they made it happen. I had to sell a kidney to get enough money to keep from bouncing the check, but I had faith that I could sell enough copies to cover my expenses. 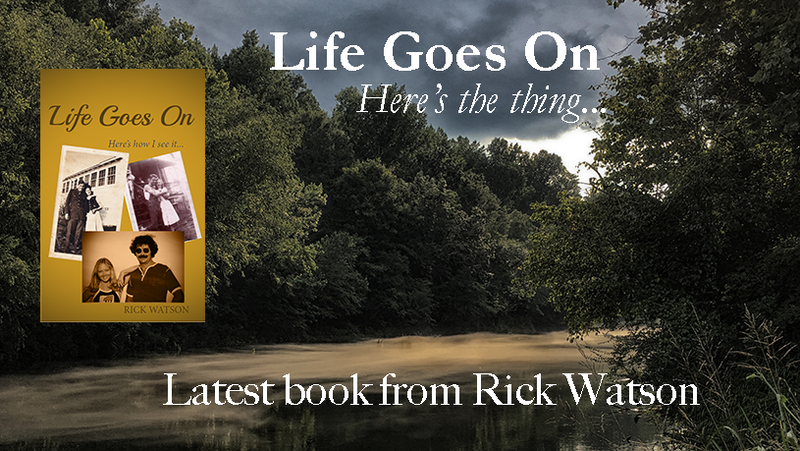 Thanks to my friends and readers across the South, I did sell a lot of books. I was really encouraged. But again, writing the words was the easy part. I spent the better part of two years speaking, going to book signings, book readings and other author events. I learned a great deal about how to connect with readers, and I actually got the hang of selling. That was several years ago and I knew it was time to release another book. Since I couldn't spare another kidney, I decided it was time to learn how to do the formatting myself. I did a great deal of research on the types of software I needed to put everything together. I decided on Adobe Indesign which allows you to not only prepare a book for print but also format it for the ever-expanding electronic book market. I thought to myself, “Hey, I'm a computer-savvy guy. I can master this software and have my book ready for print by lunch.” I thought wrong. I've spent a total of 48 hours this past week watching training videos, doing tutorials and trying to learn how to use this software which is designed to make the process of formatting books simple. Earlier this week after hearing guttural sounds coming from my office, Jilda did a sweep through to remove all sharp objects. “I might need that letter opener,” I protested. She ignored me and locked it up in her jewelry case with the scissors and all my long pencils. This morning I got up earlier than I normally do and put the coffee on to brew. I went into my office, opened one of the videos I'd already seen a dozen times and watched it yet again. This time it was almost as if someone had translated it into a language I could understand. When I opened my book project, I managed to get 90 percent of it finished in a few hours. I wept with joy. If the stars line up just right, I'll have the book completed this week so that Jilda and my buddy Dale Short can do a final read-through to check for mistakes. Once the final draft gets the stamp of approval, I'll ship that baby off to press. It should be in the printer's hands by the end of August. 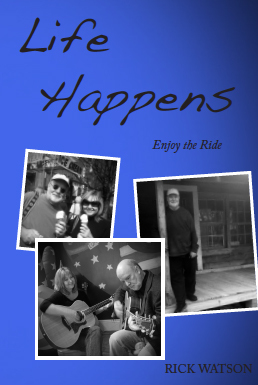 With any luck, “Life Happens” should be on the shelves of local gift shops, book stores and restaurants in time for the holiday season. I'll be shaking hands, kissing babies and signing books before Christmas. Good job! I'll be looking forward to an appearance at a local coffee shop near us. Or is it just a southern tour? Atleast I've learned why God gave us 2 kidneys! Seriously though, good luck with your book, it sure sounds interesting! That deserves congratulations. I so enjoy reading your type/method. I shall buy that book, dear, I shall. lol I guess its the same saying that when things don't seem to be progressing, rather than sitting and suffering close it up and go take a nap or do something else. Then when you get back, things click better, and go faster . I am glad you were able to figure it all out. Fantastic stuff!! Well done you!!! Good for you. The next one should be a piece of cake. Congratulations! And thank you for sharing. This is encouragement for me to step out and try. This publishing thing is a mystery to me. Are you self-published? Do you work with a specific publisher? I have often wondered about publishing a book.